Meeting our hunger for meat raises a lot of challenges. The world population is estimated to reach 9.8 billion people by 2050, and more parts of the world are breaking out of poverty and into consistent meat consumption along the way. With the livestock industry already making up 14.5% of global greenhouse gas emissions today, the need for a sustainable, satisfactory alternative to our current slaughtered meat industry has become increasingly glaring. 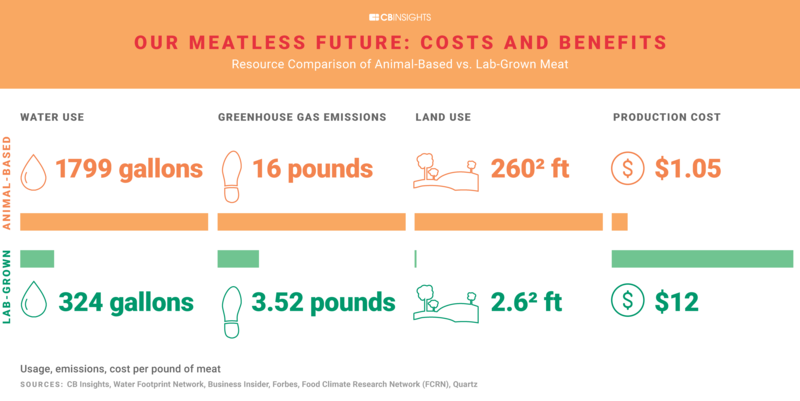 That’s why we’ve expanded our sustainability focus to a new industry with the potential to close that meat supply gap with dramatically less environmental impact: cell-based meats. Cell-based meats is a budding industry that takes stem cells from animals we conventionally eat (e.g., a cow) and grows them into conventional meat like a burger or a steak — all outside of the animal. It’s a unique win-win-win approach to the carbon-intensive meat industry: the animal gets to live, emissions are drastically reduced, and your burger will taste all the same for it (or even better). Most people don’t know about cell-based meats — also referred to as ‘cultured meat,’ ‘clean meat,’ or the unfortunate ‘lab-grown meat’ (as Finless Foods CEO Michael Selden put it when pointing out that almost all food products start in a lab before scaling, “If we’re lab-grown meat, they are lab-grown Doritos”). The public awareness campaign required to change that, said Shapiro, needed to start yesterday. D’Origny agreed, noting that since humans gravitate towards the familiar, a novel concept like this will need more time to marinate before people will be ready to buy it consistently. But what message will resonate with consumers? Companies need to be as open as possible to avoid misinformation or speculation about the process, said Shapiro. How to balance that transparency while avoiding turning off consumers — terms like “bio-ink,” “scaffolding,” and “growth medium” don’t exactly scream bon appetit — is one of the biggest hurdles facing the industry today. That is particularly true when you consider that the other major benefits of cell-based meats, like it being significantly better for the environment and likely your health as well (cell-based meats don’t contain things like antibiotics that are often found in slaughtered meats), may not move the needle when it comes to buyer behavior either, said D’Origny. These are exciting times for the cell-based meat industry. Some consumer education will come organically, with companies beginning to scale from R&D labs to production facilities strongly resembling breweries or yogurt plants. Other questions, such as whether to shift from the science-y “cell-based” terminology, will also play a critical role in how the various meats are perceived by the public. As experts in marketing sustainable products both with and without sustainability messaging, we’re intrigued to see how the industry dives deeper into storytelling this year. We have been proud media partners of the Industrializing Cell-Based Meats conference, and we look forward to continuing this conversation at the conference again in 2020.